Blackmores Machinery Haulage Ltd is very experienced in this highly technical field. We offer our clients a complete service. 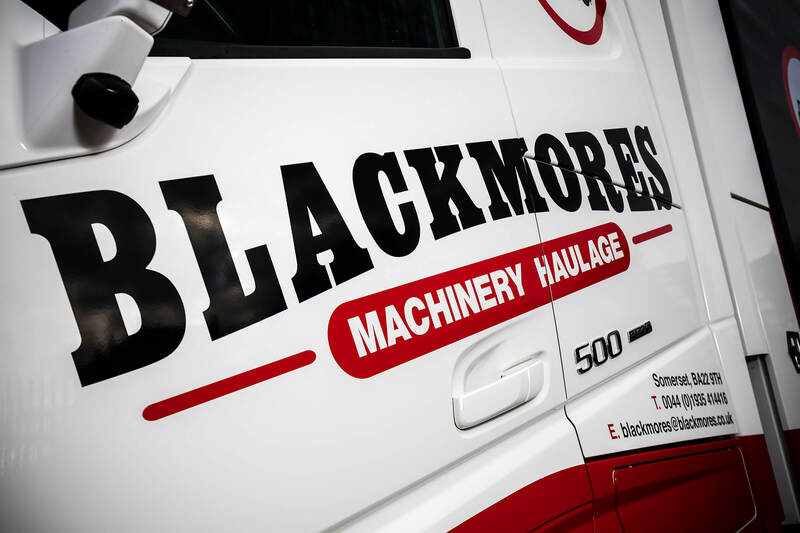 At Blackmores Machinery Haulage Ltd we have the equipment and expertise to move industrial laundry machines. 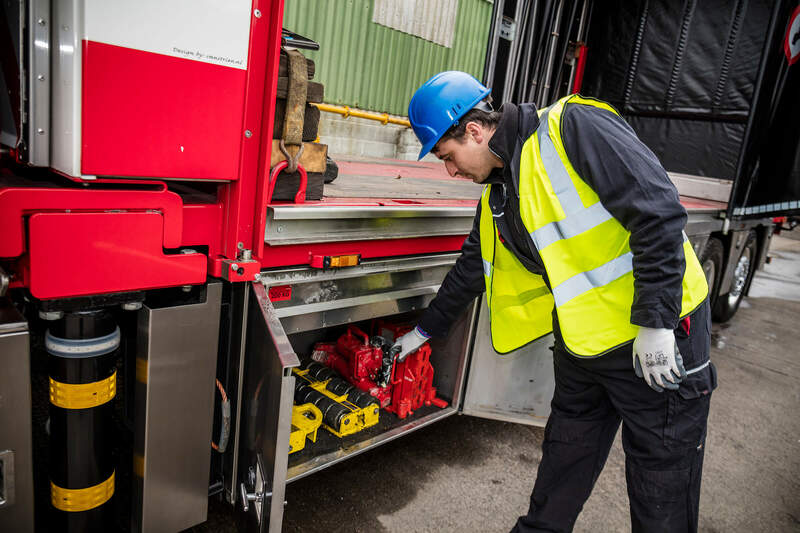 At Blackmores Machinery Haulage Ltd we can offer short and long term storage solutions. 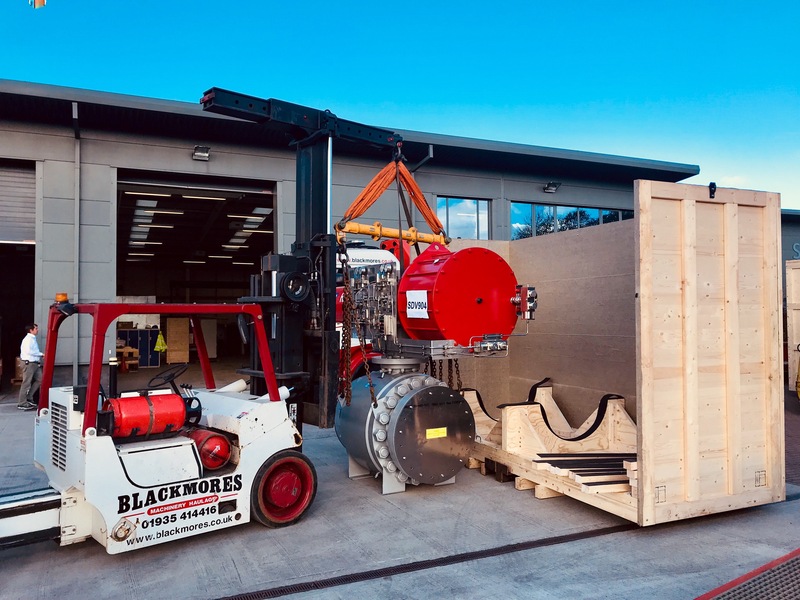 Blackmores Machinery Haulage Ltd offer export packaging and containerisation of goods. 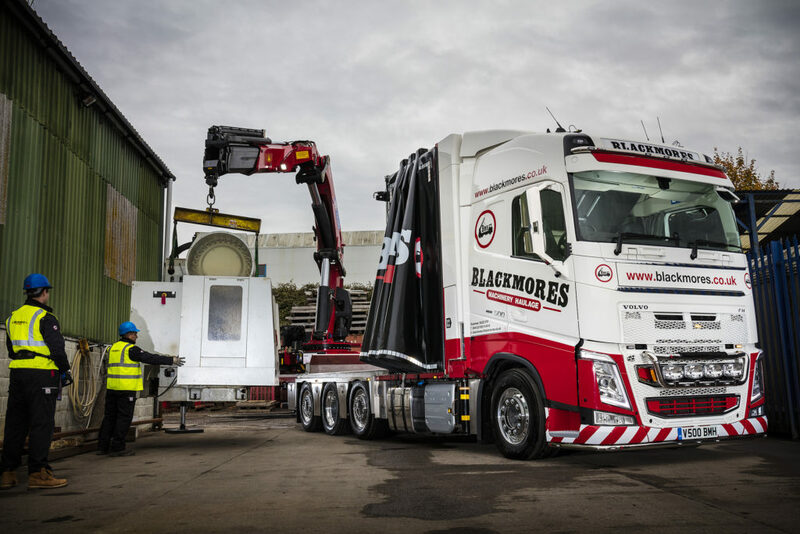 Blackmores Machinery haulage Ltd has a growing name in the Renewable Energy Sector. Our map shows the locations we are currently working or have worked to demonstrate our wide coverage area. 34 TONNE DMG - SOME THINGS JUST DON’T FIT THROUGH DOORS. 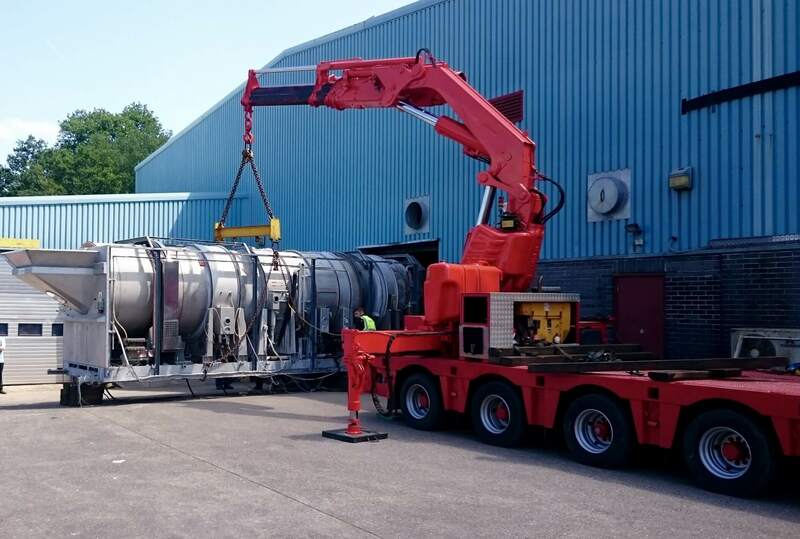 Blackmores Machinery Haulage Ltd were commissioned to collect and deliver a 34 tonne CNC machine tool. This provided the customer with many problems, but using the skills and experience we have gained the work was completed without a hitch. They were incredibly helpful, and a pleasure to deal with. 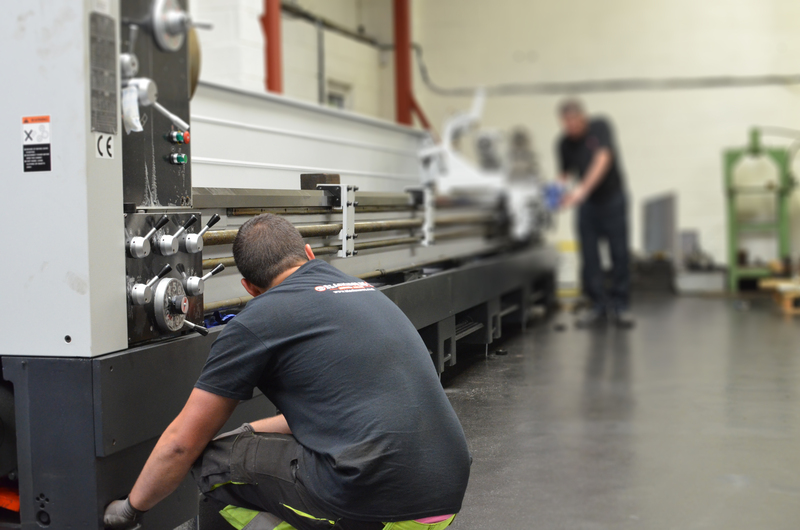 It’s not easy to find true experts in machine moving, but your team certainly are. Blackmores have always been competitive, on time, friendly and professional. Nicola Newman - General Manager, Silclear Ltd.
We have used Blackmores on a significant number of projects over the last few years and every time they have delivered both in terms of their professionalism and their ability to just sort it. Clarks have been using Blakmores to move Shoemaking Machinery for many years. In my experience the team of engineers are always very professional, friendly and courteous. Parker Hannifin commissioned Blackmores to support some large productivity improvements across the site & came highly recommended. The up front support was great & the crew have an excellent work ethic, ability to flex & safe working practices Cannot recommend highly enough. 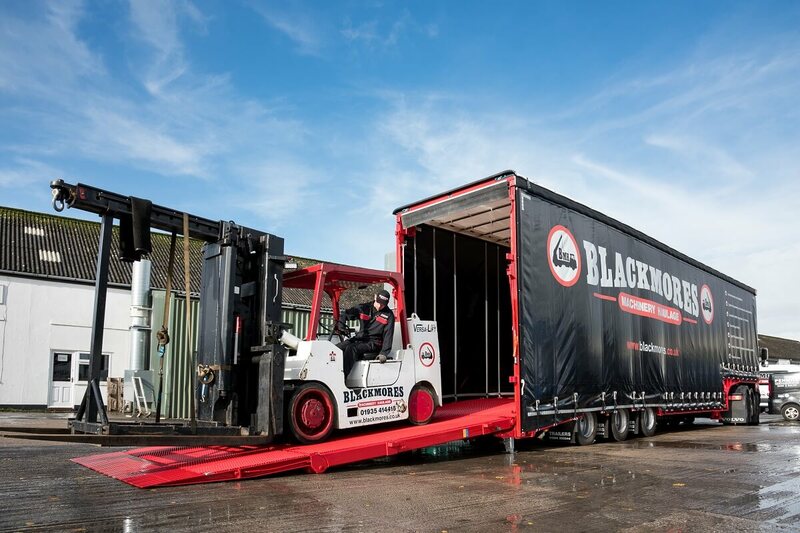 We have used Blackmores on numerous occasions, a great team, very professional & efficient who made our machine haulage very simple with little fuss, we would recommend without hesitation. Stephen Wilkins - Bomic Limited & Stephen Wilkins Precision Engineers.